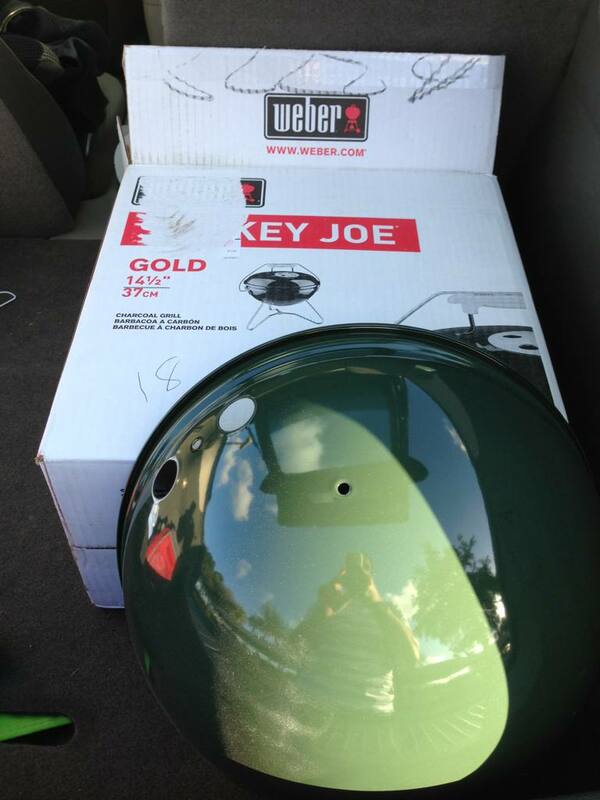 Green Weber Smokey Joe Gold - The BBQ BRETHREN FORUMS. Got a brand new in box one for $25. It is green. Anyone seen a green one before? Light/lime green? Yeah, crate and barrel sells em, or used to- I'm not sure. ahh so you're the one that got that one on craigslist :) I was wondering if someone would get that and appreciate it. I would have bought it if I saw it!!! Dark green actually. I will take a pic tomorrow. 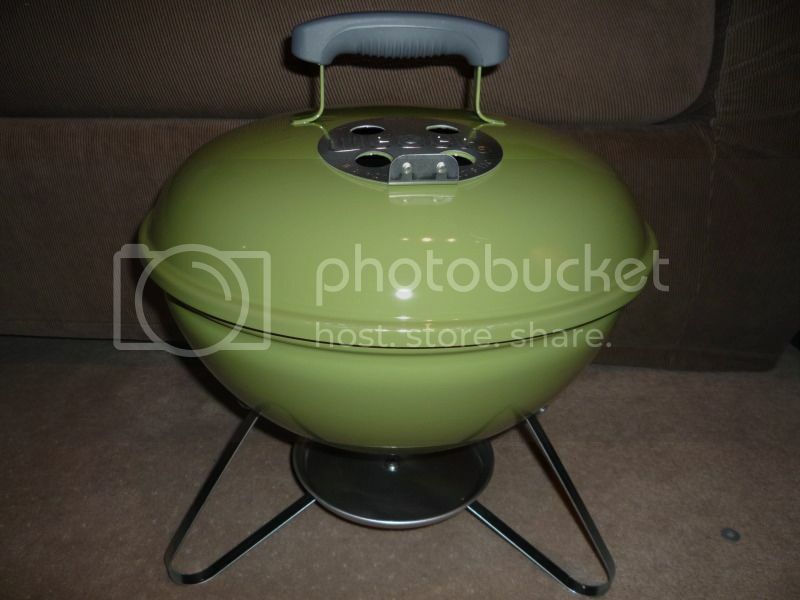 Yep figured I could use it for small cooks and going to build a Mini WSM. If I see a red one i am going to put it on ebay and sell it lol. Just saw a post where a redhead went for $256 but it was NIB. Maroon is coolest but dark green is is a nice find! I would have bought it.RED is soooooooo over rated!!! I like that green a bit more than the black! Nice find. Location: Phoenix,AZ Always Sunny ! You got it half price .. this is the only place i know to get them .